We seem to have lots of old ripped sheets. 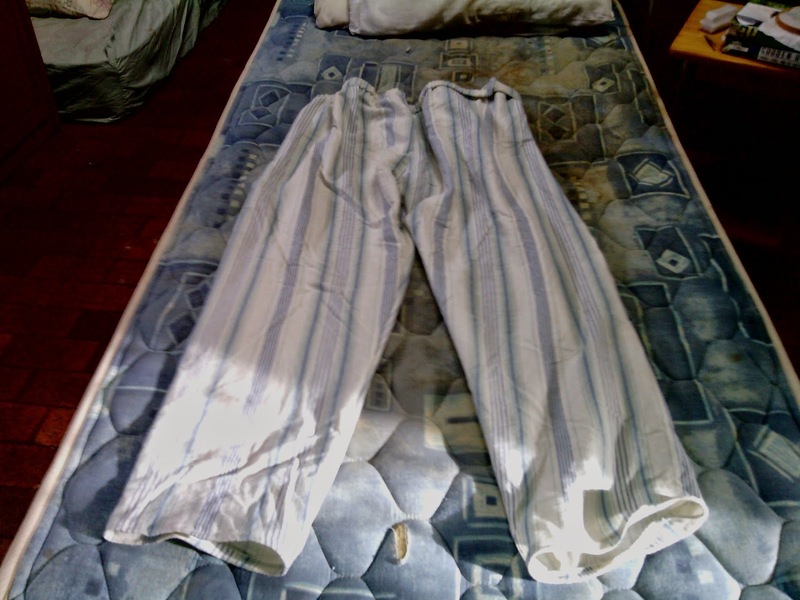 We buy all our sheets at second hand stores and although we buy the least worn ones they still seem to wear out on a regular basis; getting thin in the middle and developing little tears on the edges. So what to do with all these sheets? One thing I do with mine is to make pajama pants from the still good outer edge of the sheet. 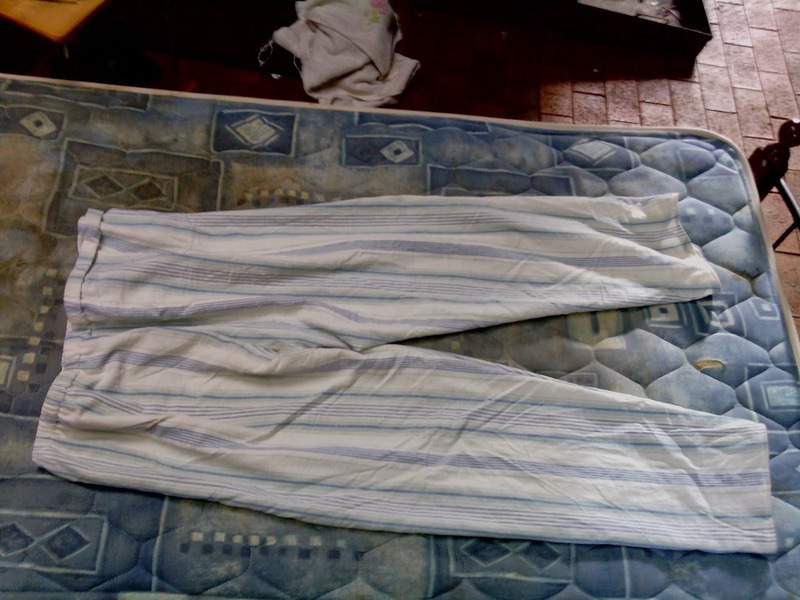 To make a pattern, I picked apart an old pair of cotton pants that had also worn out. Once they were picked apart at the seams the pants revealed themselves to be just four pieces the same shape and size, sewn together. So I used one quarter as a guide to cut out my pattern pieces (four of them) and allowed about two centimetres extra around the outside as a seam allowance. 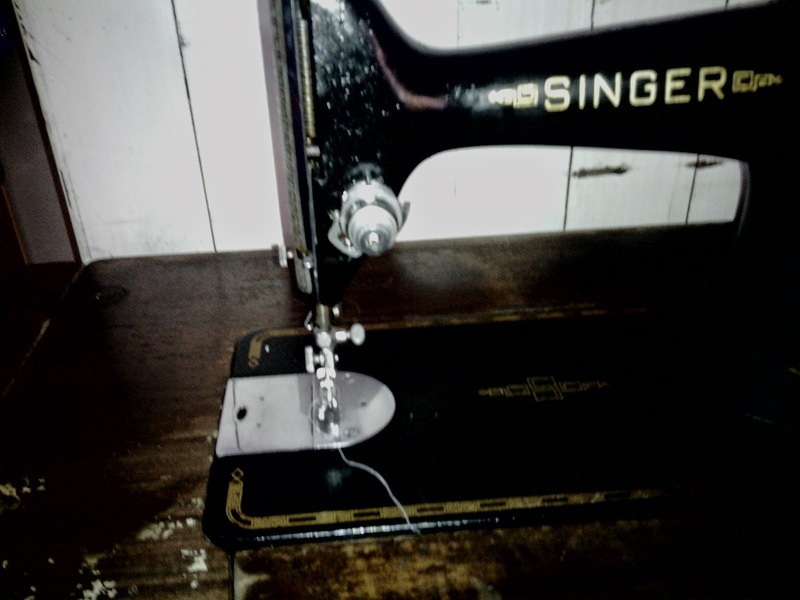 I followed this really handy tutorial (without the cuffs added) to sew them up on my old Singer 201; Prudence. I love my old treadle machine, she is straight stitch only but she doesn’t use electricity and sews quietly with a strong stitch. My old treadle sewing machine; Prudence. 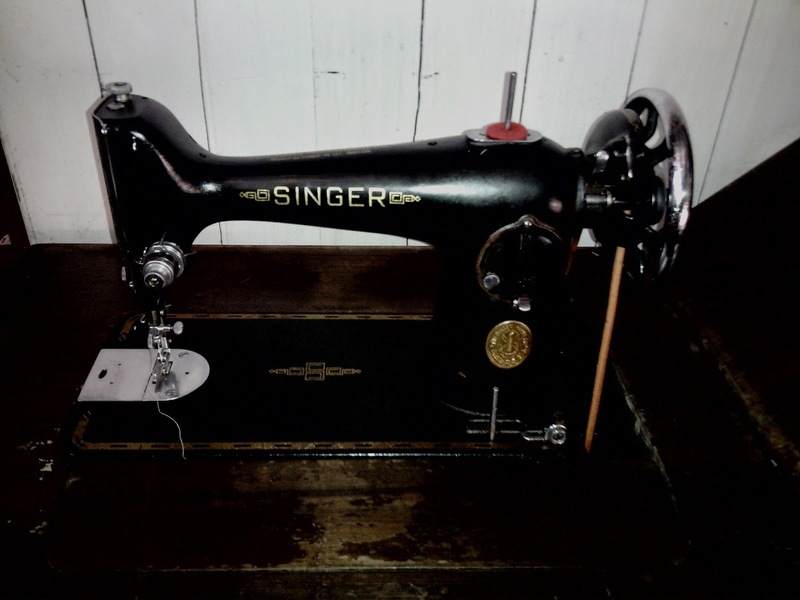 Made in 1936 and still sewing strong. The rest of the sheet has become cleaning rags, animal bandaging and strips for making rag rugs (depending on the quality of the material). What do you do with your old sheets?